“We applaud Gov. Cuomo and New York’s legislative leaders for the historic gains for women included in the 2016-17 New York state budget. The budget’s approval anoints New York as the nation’s leader in paid family leave, with the ‘longest and most comprehensive’ program in the nation. New York joins California as the first states to adopt a $15 minimum wage in select regions. “These groundbreaking policies strengthen the economic stability of women and families and recognize their right to determine when and whether to have children and to be paid enough to support any children they choose to have, including during family leave. 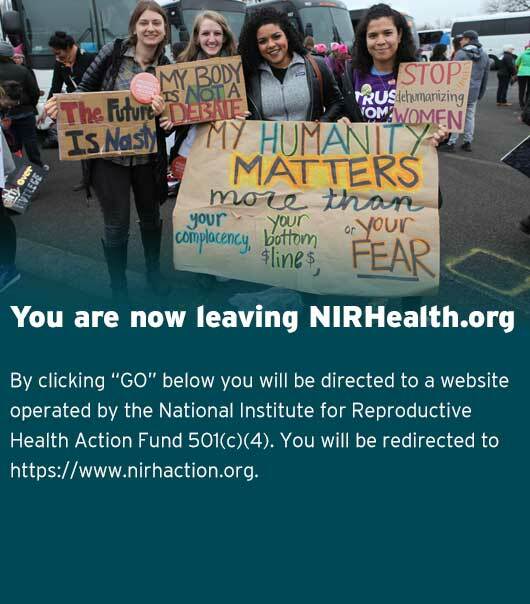 *The National Institute for Reproductive Health Action Fund, Inc. is not affiliated with NARAL Pro-Choice America. “NARAL” and “NARAL PRO-CHOICE AMERICA” are trademarks of NARAL Pro-Choice America.